Author: Bradley, Marion Zimmer Set In . . . Description: The New York Times bestselling science fiction and fantasy author of the Avalon series introduces the prequel to the beloved and enduring classic The Mists of Avalon in this mesmerizing epic of one woman’s legendary role at a turning point in history. In a Britain struggling to survive Roman invasion, Eilan is the daughter of a Druidic warleader, gifted with visions and marked by fate to become a priestess of the Forest House. But fate also led Eilan to Gaius, a soldier of mixed blood, son of the Romans sent to subdue the native British. For Gaius, Eilan felt forbidden love, and her terrible secret will haunt her even as she is anointed as the new High Priestess. 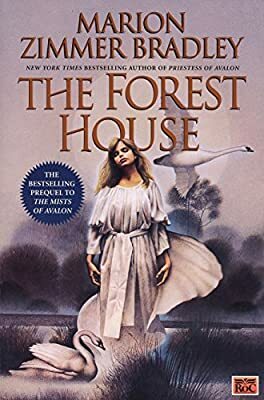 With mighty enemies poised to destroy the magic the Forest House shelters, Eilan must trust in the power of the great Goddess to lead her through the treacherous labyrinth of her destiny.